This mod fixes a bug that has frustrated me for a long time. When you send a tombstone to a community lot, it loses its death type. When you send multiple tombstones at the same time, they all lose their death type. 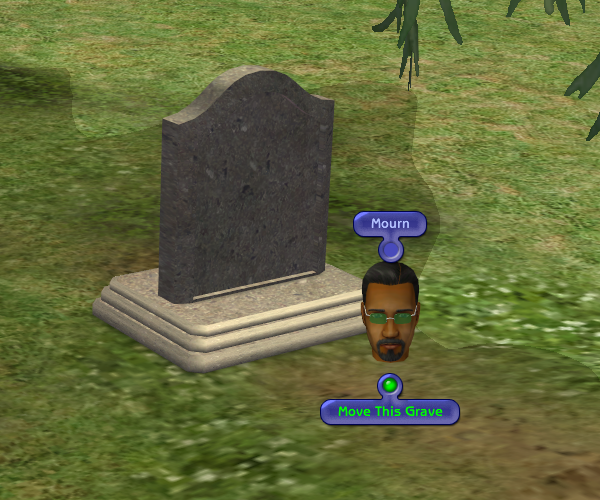 Once a tombstone has lost it's death type, the ghost of the Sim it belongs to will use the default ghost colour, rather than the colour for their cause of death. This bug has existed ever since the ability to move tombstones to community lots was first introduced to the game in Nightlife. After dealing with it for so many years, I decided I had to figure out how to fix it once and for all. With this mod installed, the death type will remain intact when you send a tombstone to a community lot. This mod will not fix tombstones that have already lost their death type. 129 people have said thanks to SixAM! for this download.